Tickets go on sale Saturday, April 6th through AXS and Ticketnetwork. View all tour dates that have been confirmed here. Tickets for both shows go on sale Monday, March 4th. See all of the 2019 tour dates that have been announced here. The New Orleans Jazz & Heritage Festival will take place in late April / early May and Jimmy Buffett is one of the headliners that will help celebrate the festival’s 50th anniversary. 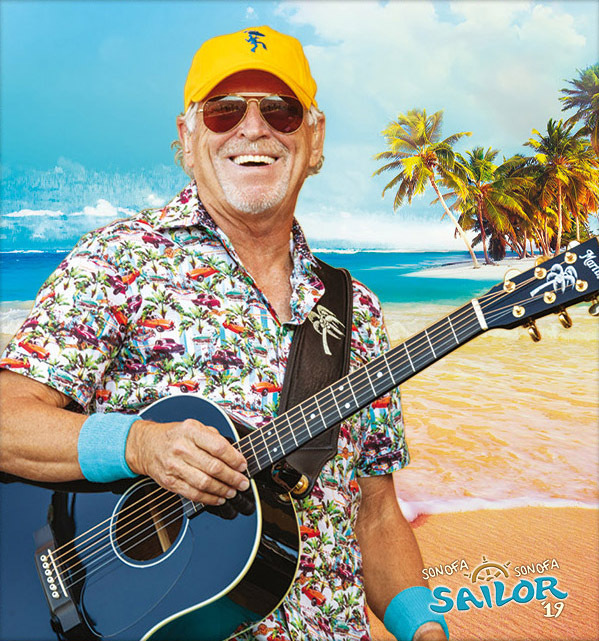 Buffett is scheduled to perform on Sunday, May 5th. Other major acts that will be performing at the show include The Rolling Stones, Katy Perry, Dave Matthews Band, Chris Stapleton, and Bob Seger. See the full lineup at the Jazz Fest’s website. Tickets go on sale this Friday through Ticketmaster. Tickets for these three shows go on sale Friday, January 18th through Ticketmaster and Ticketnetwork. See all of the concert dates that have been scheduled so far here.